This bike is a blast to ride. Fast and zippy for a small bike but next to a real motorcycle, you realize how slow you are going! The restoration took about a year. I had help rebuilding the engine and transmission. A friend Adam helped me weld the bump onto the seat. Chrome, powder coat and paint were all locally sourced. Custom YSS shocks. Assembled by me. The only bummer is that I could not find the correct street Bridgestone tires to put on the bike. 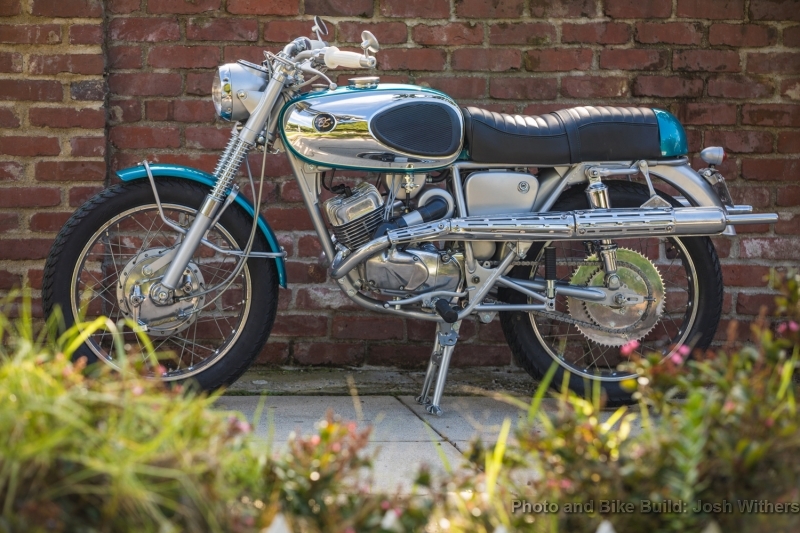 1967 Bridgestone 175HS custom silver frame. Coated pipes. Custom seat, handlebars.